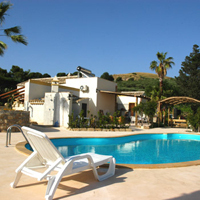 If you are dreaming about an exciting but relaxing holiday in the hills of Sicily, the Don Carlo tourism centre is just the place for you. Come home to a rural Sicilian farmhouse which has been completely reformed but still has all of the charming architectural features of old. Each morning you will get a tasty and healthy breakfast made from our home-grown produce.